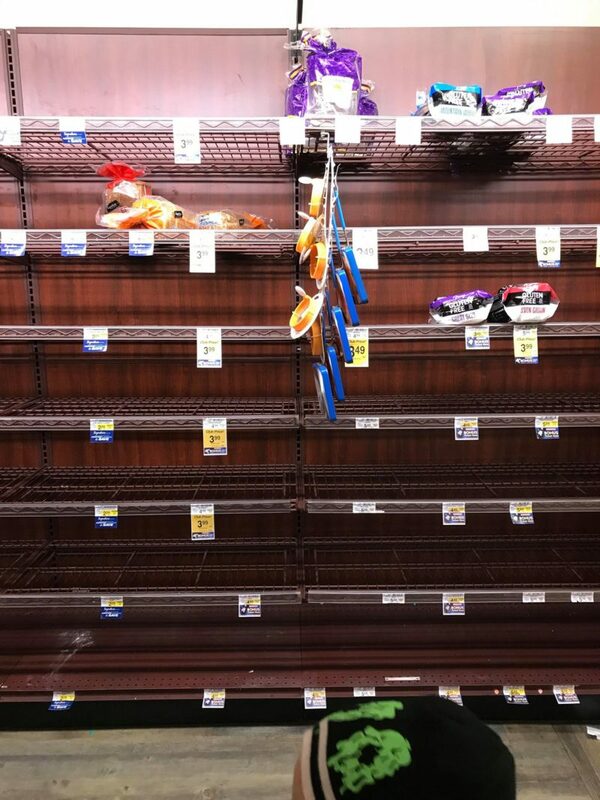 If you shopped ahead of the snow, or even more recently, then you no doubt were greeted with empty shelves. I (Nina) shopped ahead of the storm and just grabbed what I thought I needed if we were snowed in for a while. I picked up things like bread, milk, and eggs. After a couple days though, I quickly realized we needed more milk and I just wanted some comfort and snack food. 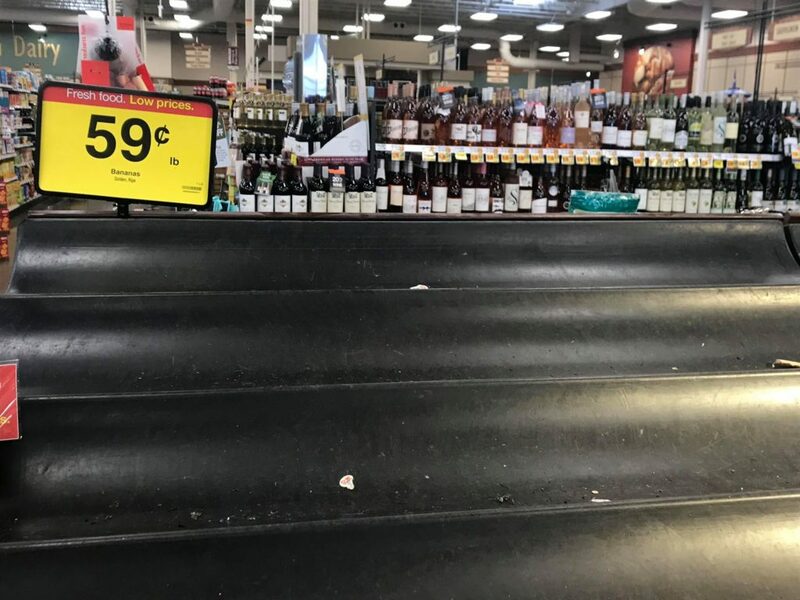 I decided to head to the store for a couple of items since I heard the main roads were OK. I pulled into my local Fred Meyer and noticed every single parking stall was occupied, so I opted to try Safeway (Twin Lakes) across the street instead since the parking lot looked empty. To my surprise, the lines were not horrible. As I was grabbing my items I needed/wanted I noticed some bare shelves and some just-stocked shelves. 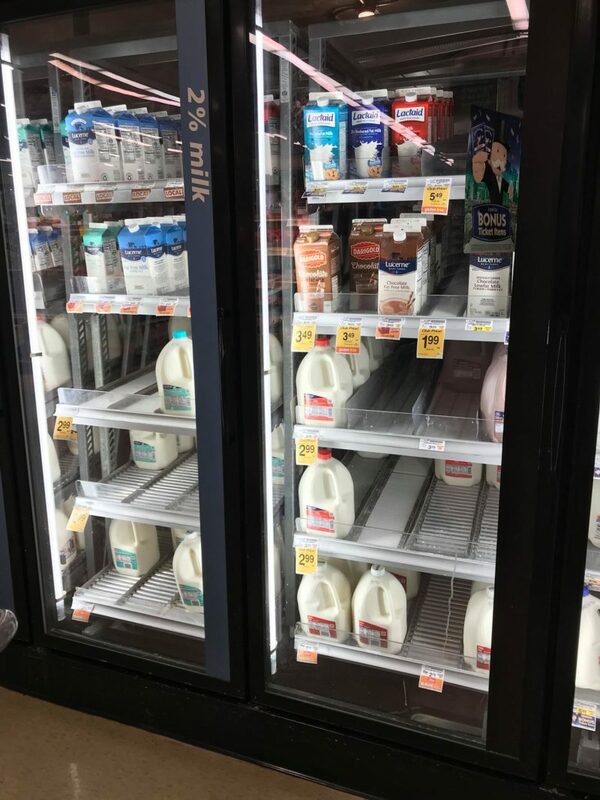 I talked to the store Manager there who informed me they had been out of milk for 2 days just got a shipment that morning and its flying off the shelf as well. The store shipments are getting delayed which means items are not getting to the shelves as fast as people are buying them. I thought I’d share some of the items that were sold out or selling fast, some kind of surprising. 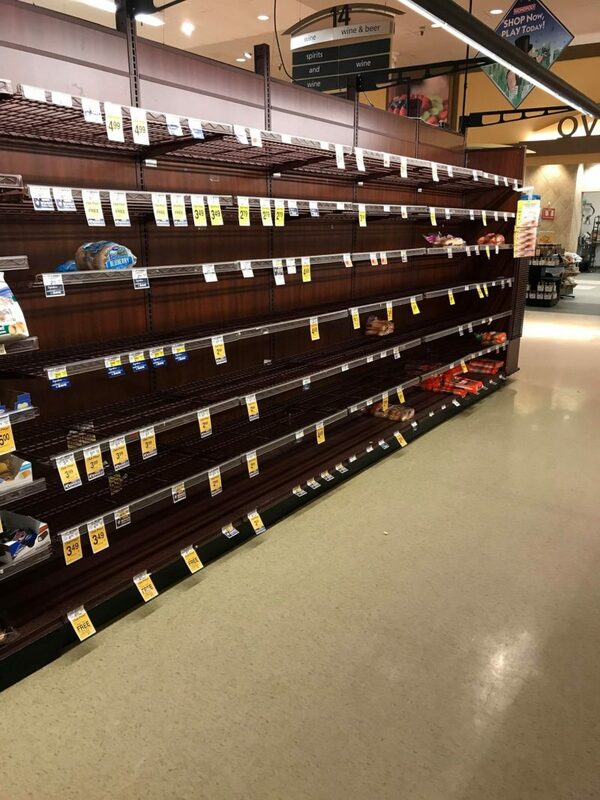 The bread aisle looking pretty bare, they have yet to receive the bread shipments. This is the milk case after just 3 hours of the store restocking. Here is the packaged soup area (think Top Ramen, Cup of Noodles). Most of these were sold out, but the canned soup was well stocked. 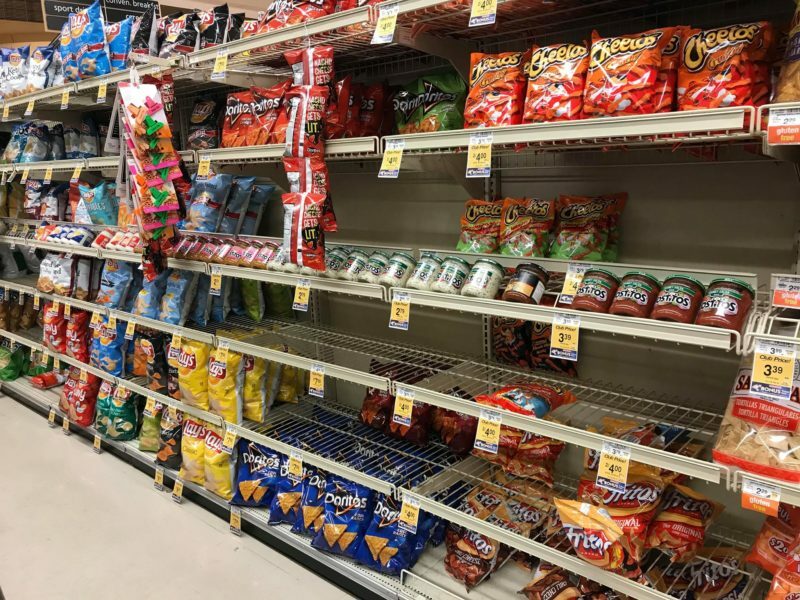 I noticed lots of chips were gone. Maybe people are catching up on movies and want to snack? This is usually where the hot dog and hamburger buns are… empty as well! A good time for baking? 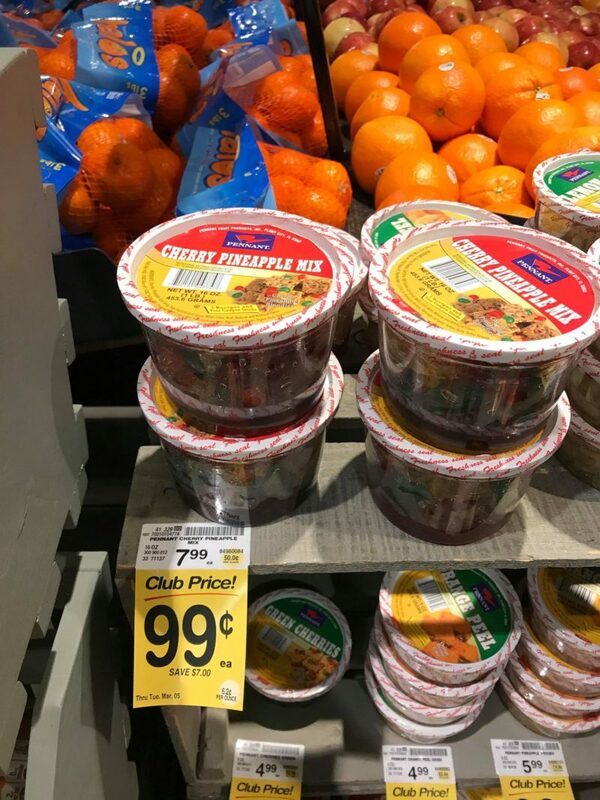 I noticed all of these were a good price all $0.99 cents! Stock up price! Have you braved the store? What must have items have you bought? 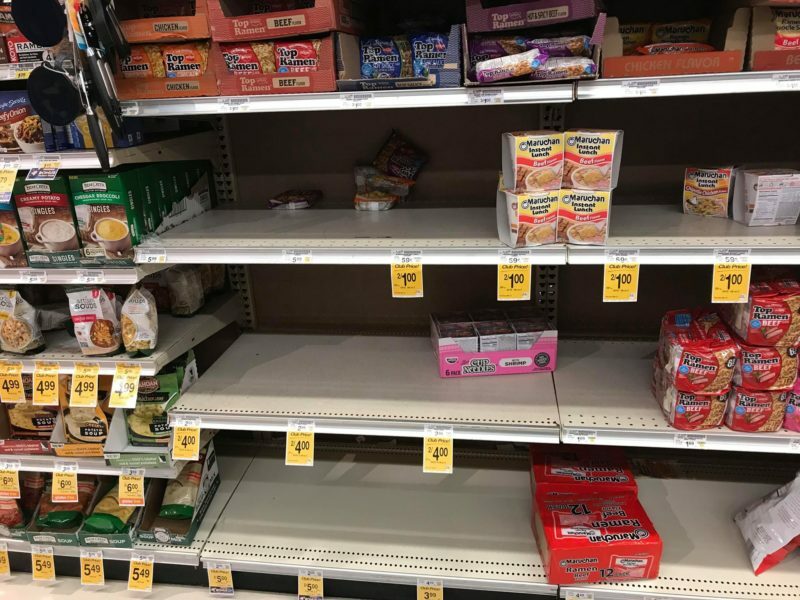 How are you finding store shelves? 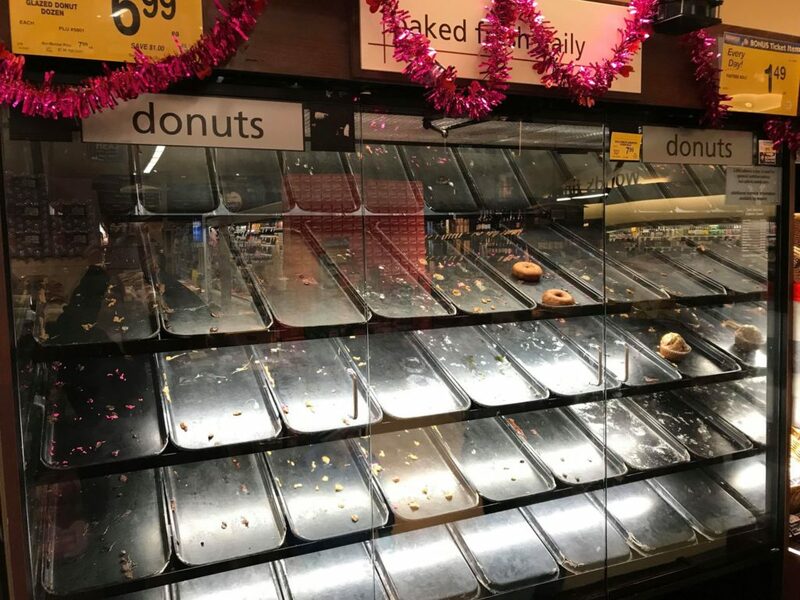 Did you do a good job stocking up before the storm? We would love to know what your finding.